Could You Volunteer and help us support our local community? 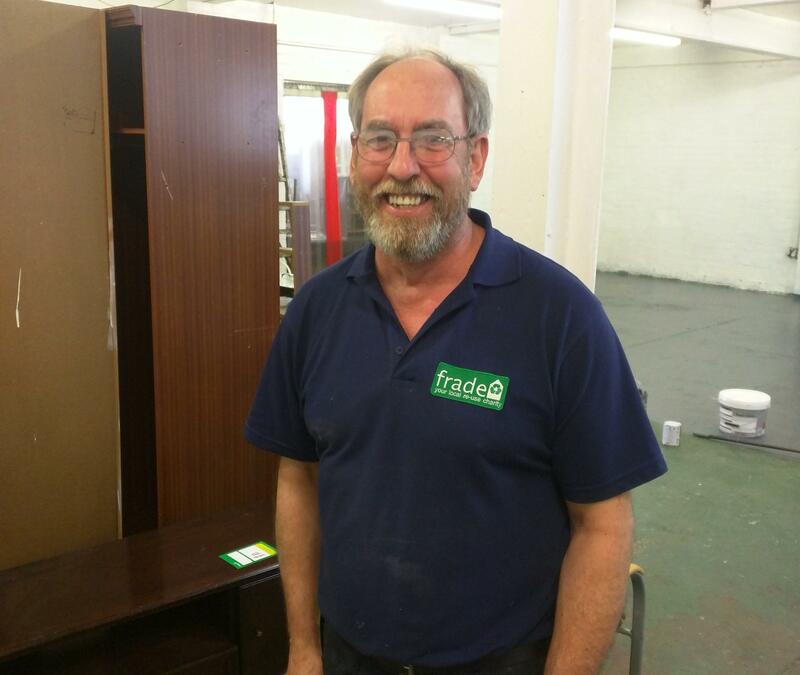 "It was such a relaxed enviroment"
"Volunteering for Frade has changed my life! I had no confidence and lost direction. With their help and support I am back on track and looking forward to the future"
Help us to help our community, together we are stronger! Positions available at our Stockton, Middlesbrough and Darlington stores include: Van Driver, Van Assistant, Sales Assistant, Warehouse Operative, Finance and Admin. Support, Logistics Support, Furniture Restorer. Volunteering will develop your social and communication skills, improve your self-confidence and enhance your employment history. Why not fill in the form below and we'll get in touch with you? Thank you for your interest in Frade. What role would you like to do? Which store would you like to volunteer for? Thank you %NAME% for your volunteer enquiry. Please allow up to 24 hours for a member of the team to contact you.